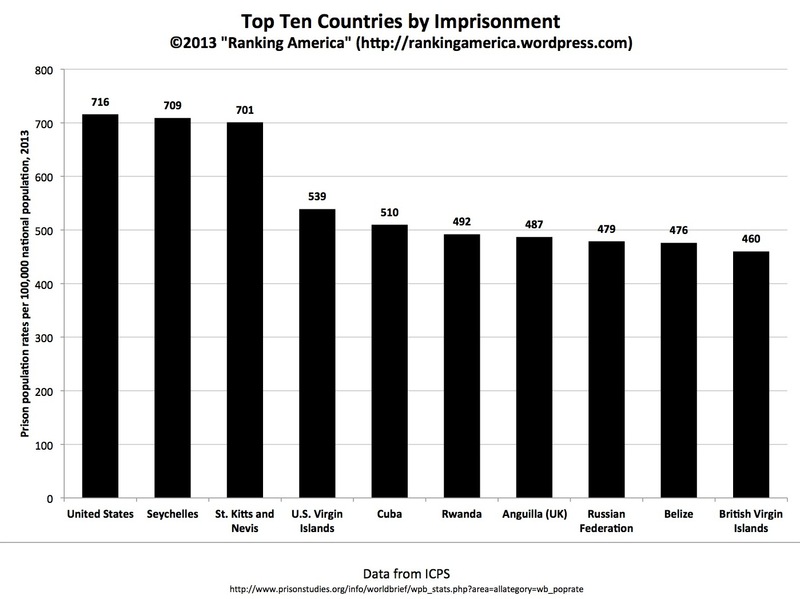 According to the Brookings Institution, in 2013 there were 710 Americans imprisoned for every 100,000 residents. This makes the United States rank first out of thirty-four OECD countries ranked in that category. 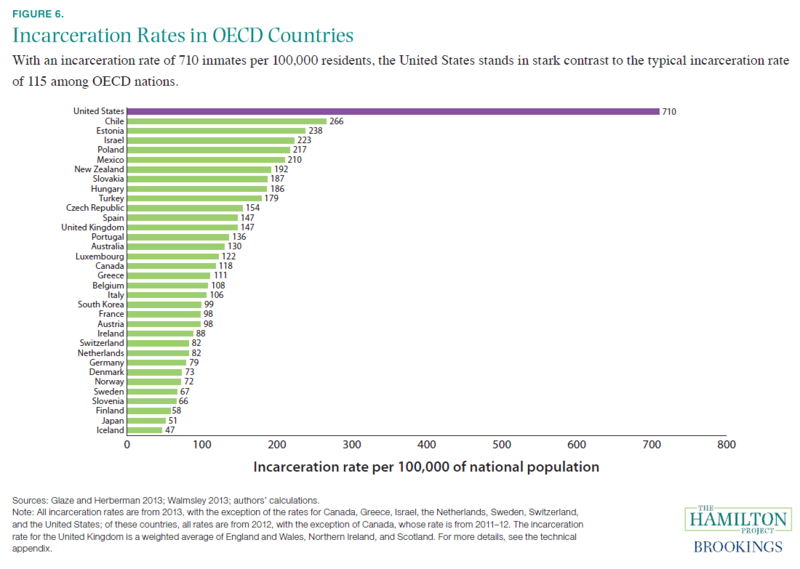 The average incarceration rate among the OECD nations is 115. According to the International Centre for Prison Studies, the United States has an estimate 716 prisoners per 100,000 population. That is enough to make the United States rank first out of two hundred twenty-three countries ranked in that category.